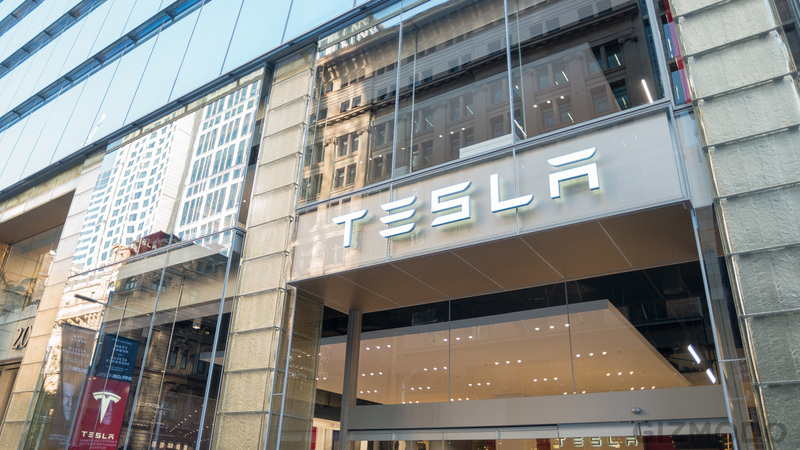 Tesla opens its doors tonight for visitors to have a sneak peek of its new flagship store in Sydney, Australia before the grand opening tomorrow morning. 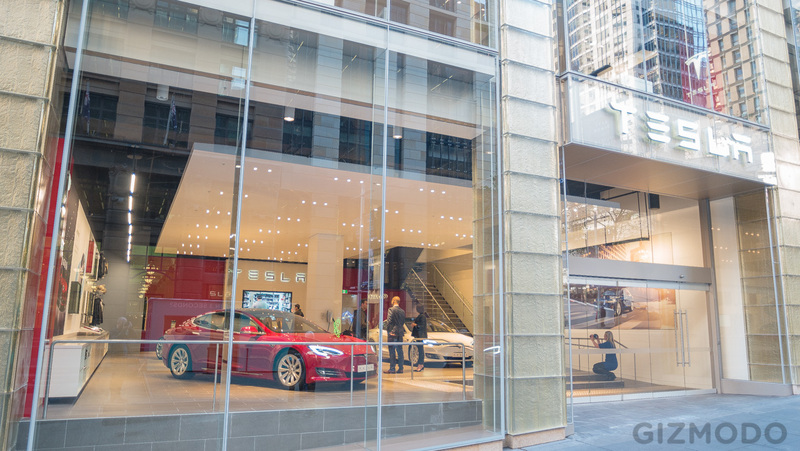 The new retail-only two story building is located in a prime location on 20 Martin Place, next door to Apple's corporate office, attracting passersby of the popular open-air pedestrian mall in the center of the city's central business district. 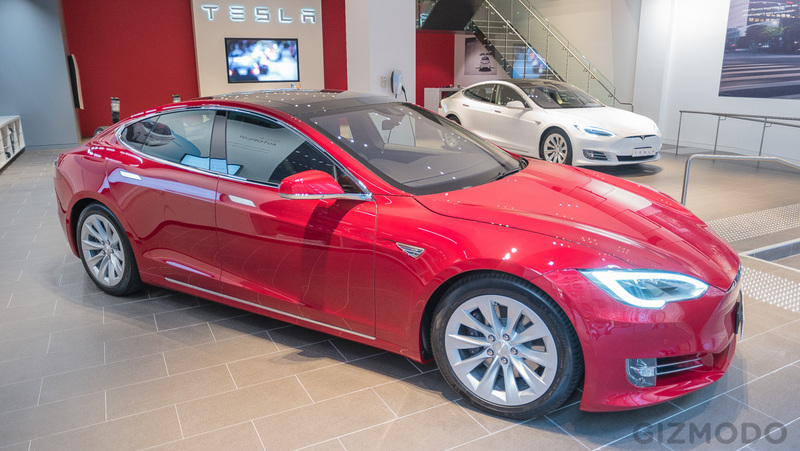 The 5000 square feet floor space will exhibit three Model S for those who wish to see the car up close, including a lithium-ion battery chassis with suspension, power train, and wheels, demonstrating Tesla's unique technology. 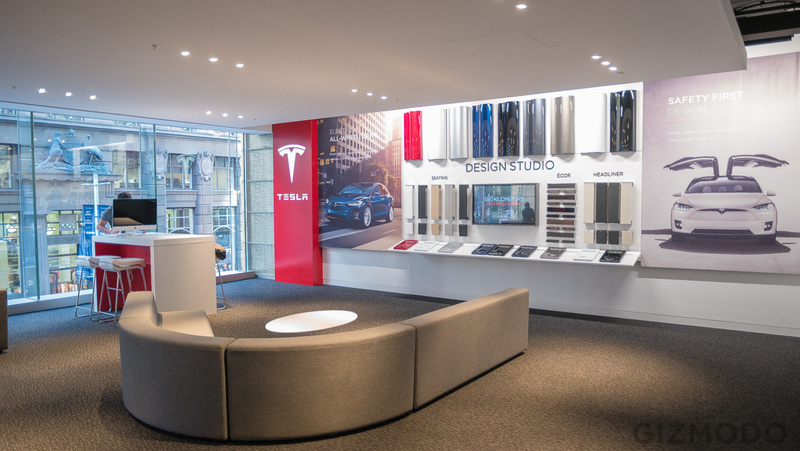 A design studio enables customers to configure their cars with one of Tesla’s six store specialists. 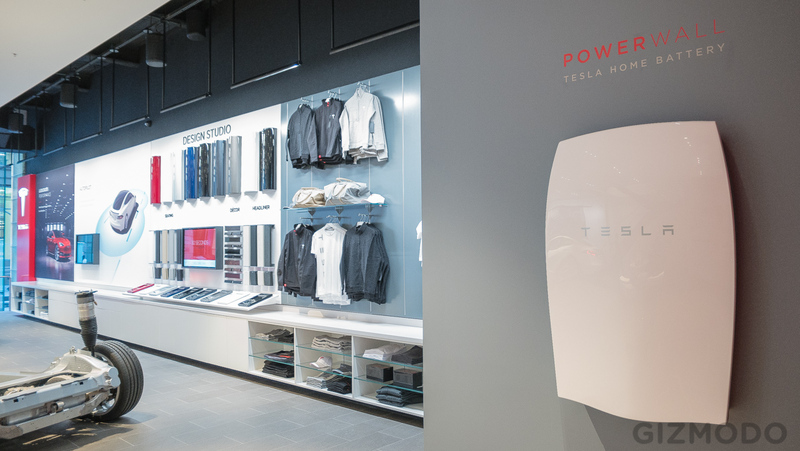 Additionally, Tesla-branded merchandise occupies part of the entrance along side a High Power Wall Connector (HPWC), while the back features a Tesla Powerwall which can only be purchased and installed through a third party supplier in combination with inverter and solar panels. 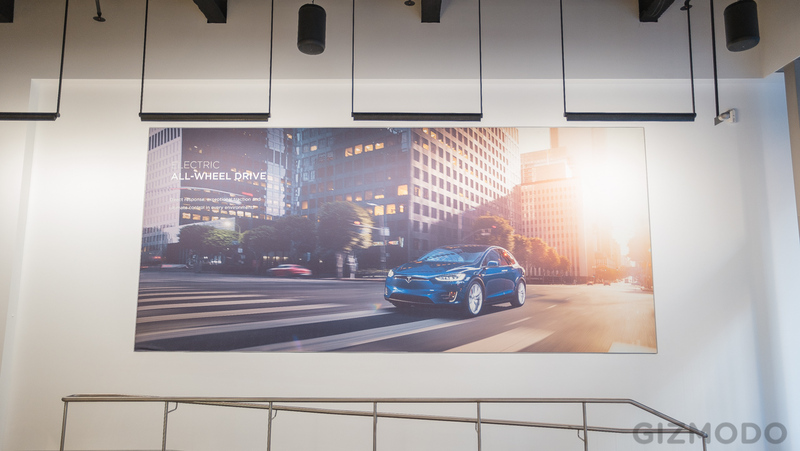 The showroom will soon be modified to welcome the launch of the right hand drive Model X in Australia before the end of the year. 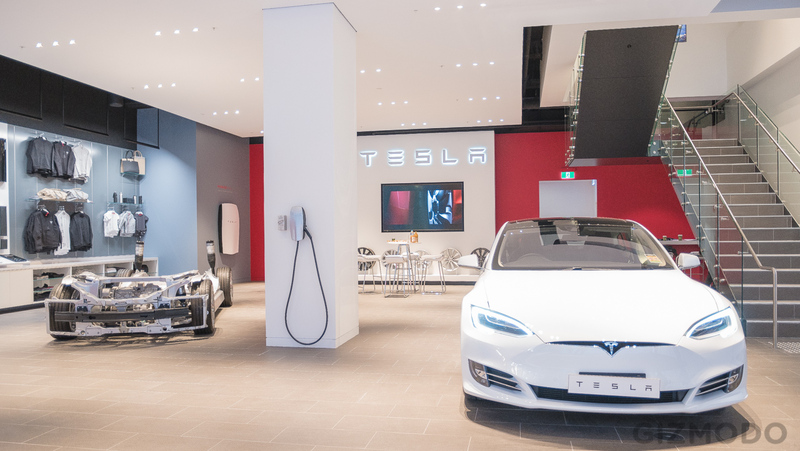 A parking will be available under the store, mainly used to pre-book test drives. This is Tesla's third retail store in Australia following Sydney's North Shore and Melbourne's Richmond store and service centers, but unlike the first two, this flagship store will not host any superchargers for Tesla owners looking for a quick charge stop. 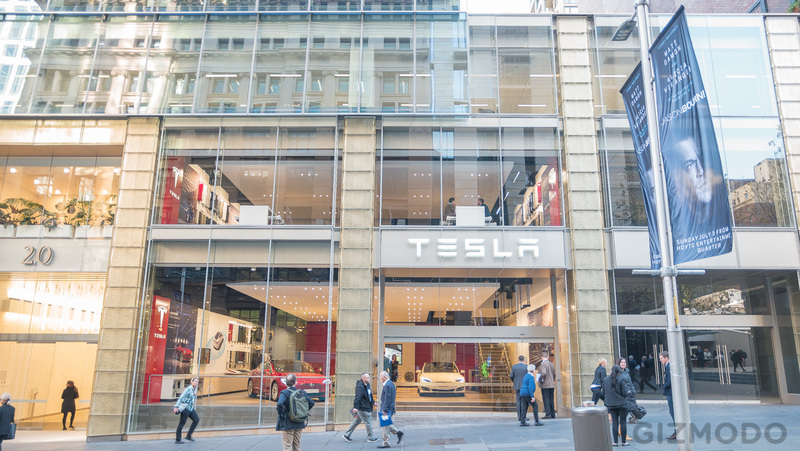 According to Gizmodo, the opening coincides with Tesla’s Australian customers having traveled over nine million kilometers collectively, saving seven hundred thousand liters of fuel just within Australia, and the opening of over 100 destination chargers around the country with 75 more planned before the end of the year. 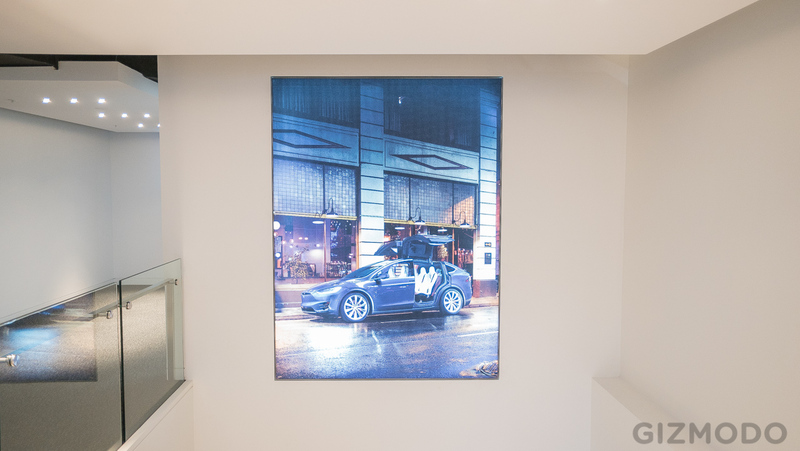 Featured images property of Gizmodo.